Plan for A BRAND New Year with Honorees Cindy Faith Swain and the Women’s Fund of Northern Santa Barbara County at AWC-SB’s holiday party. The local chapter of the Association for Women in Communications (AWC-SB) will get a head start on A BRAND New Year at its annual holiday party Wednesday, December 7, 5:30-7:30 pm at the Canary Hotel in downtown Santa Barbara. The event is built around the brand theme in recognition of this year’s Member of the Year, Cindy Faith Swain, whose company is PlanABrand, a full-service branding, marketing and social media company. Swain will be honored for her contributions to advance the goals of AWC-SB and her leadership in the field of communications. Women in Communications will also recognize its 2011 Nonprofit Honoree, the Women’s Fund of Northern Santa Barbara County, for its support of local nonprofit organizations. Since its inception in 2007, the fund has awarded $449,500 to 20 organizations serving women, children and families. This year’s grant recipients include the Boys and Girls Club, Friends of the Library, the Council on Alcoholism and Drug Abuse Teen Court’s Young Women’s Leadership Group, and the Santa Maria Youth and Family Center. “How fantastic that we share similar goals of empowering and enriching the lives of women in our community,” Jennifer Mills, chair of the north county Women’s Fund, said upon learning of the AWC-SB award. 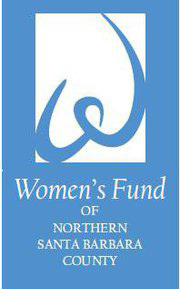 Women’s fund members pool their own money and donate their time to make a difference through collective philanthropy. This winter the organization will sponsor site visits at some of the nonprofit programs it supports. The Santa Barbara Foundation is a fiscal agent and partner to the Women’s Fund of Northern Santa Barbara County providing staff support and administrative assistance. The fund also benefited from grants awarded by the Orfalea Foundation and the Roy and Ida Eagle Foundation. In keeping with the event theme, tables and gift baskets will be designated with women’s brands, including Oprah, Coco Chanel, Martha Stewart, Jane Fonda and Mary Kay. Tickets for a chance to win a women’s brand gift basket will be sold on site. Proceeds will be used to support AWC-SB activities. Former AWC-SB Members of the Year include Lois Phillips, Ph.D., Loretta Redd, Ph.D., and Perry Anne Norton. Nonprofit awardees include Child Abuse Listening and Mediation (CALM), the Unity Shoppe’s Job Smart program and the Women’s Free Shelter Clinic. AWC-SB supports institutional winners with monetary contributions and professional support. Tickets for the event may be purchased in advance until noon on Monday, December 5 , $10 for students, $15 for members, and $30 for guests. At the door, $10 for students, $25 members, $40 for guests.. Refreshments will be served. No host bar. PLEASE NOTE a Public Parking lot with 90 minutes free parking is located nearby. Hotel Parking is only validated if you order food from the restaurant, and valet service is $13. This entry was posted in Past Events and tagged Cindy Faith Swain on November 18, 2011 by Lisa.